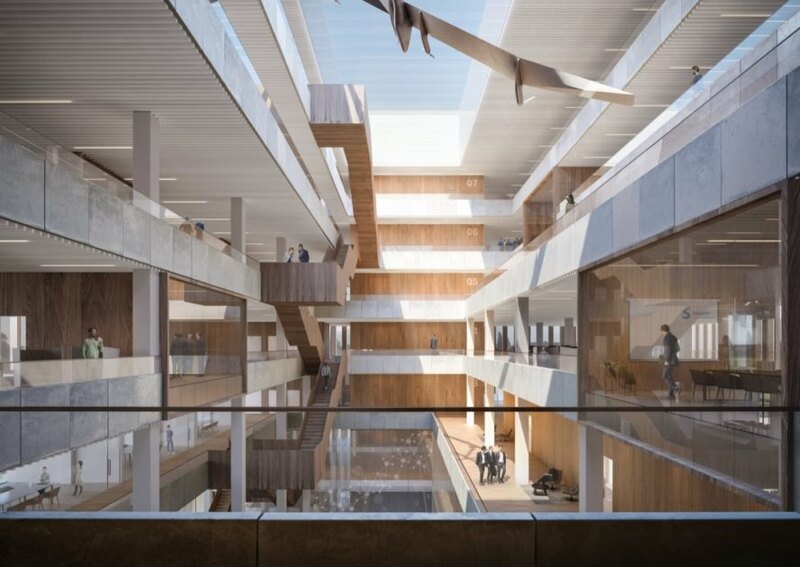 Schmidt Hammer Lassen Architects has won an international competition for the design of global chemical company Solvay’s new sustainable headquarters in Brussels, Belgium. 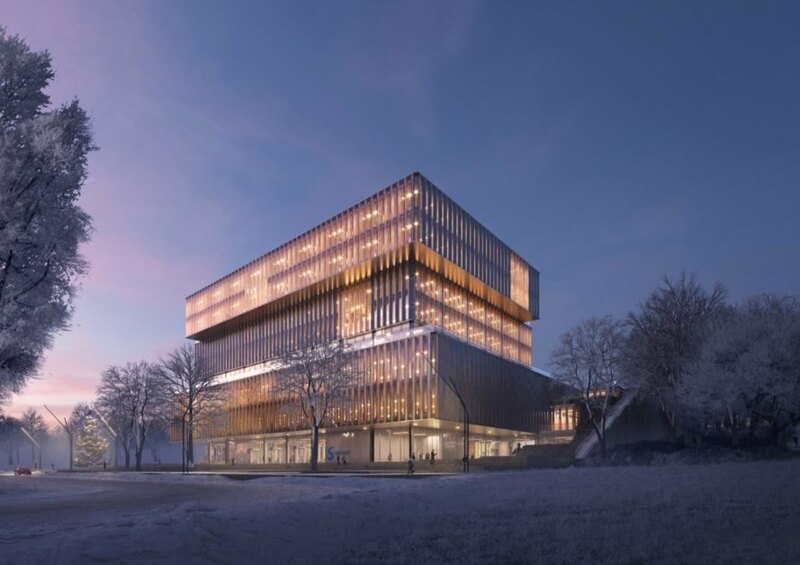 Created in collaboration with local firm Modulo Architects and VK Engineers, the winning proposal beat out designs from top firms including the likes of OMA, Valode & Pistre and Henning Larsen. 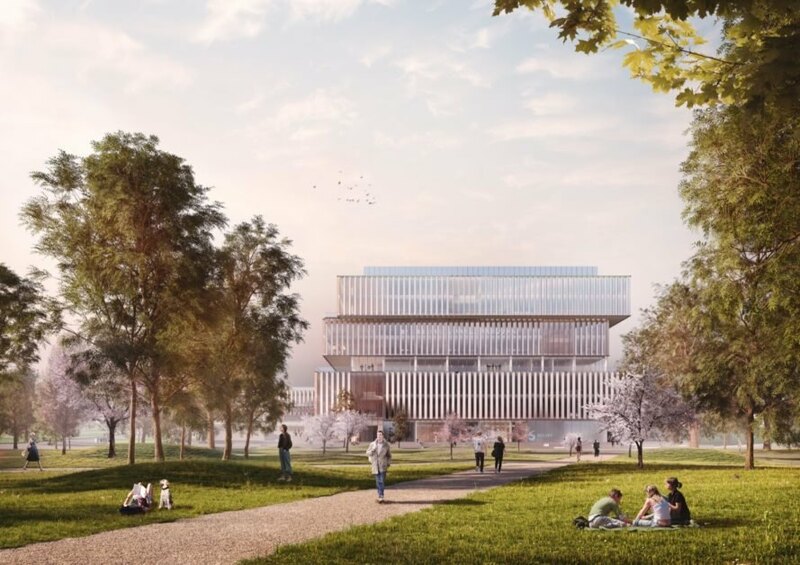 The green campus is expected to be certified BREEAM Excellent and will be powered with a mix of renewable energy resources, including geothermal energy and solar energy, to reach carbon-neutral status. 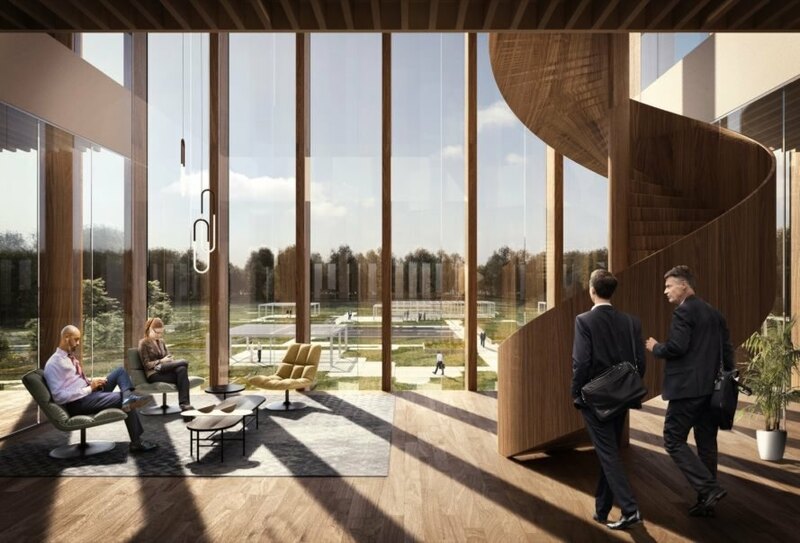 The new headquarters represents a shift for Solvay as it transitions towards a more open and sustainable business culture. Placed in a single compact structure, the zero-carbon and near zero-energy building will prioritize collaborative spaces and the outdoors. The new campus is located on a 22-hectare site, which has housed many of Solvay’s facilities since 1953. The property will be transformed to include a new dedicated forest, a reintroduced 18th-century stream connected to the Senne, and an open-air amphitheater. Rainwater across the campus will be harvested and reused wherever possible. 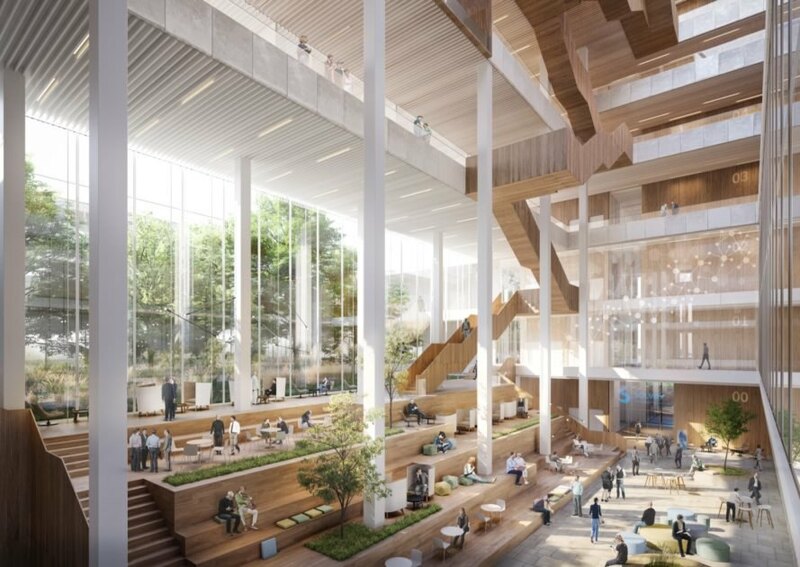 The light-filled building will be wrapped in glazing and punctuated with a large atrium with a social staircase that visually connects the various floors and departments. The two lower levels will consist of laboratories and workshops, while the upper floors house offices. In between those floors will be the Meeting Center, which includes relaxing gathering spaces and terraces with panoramic views of the campus green. 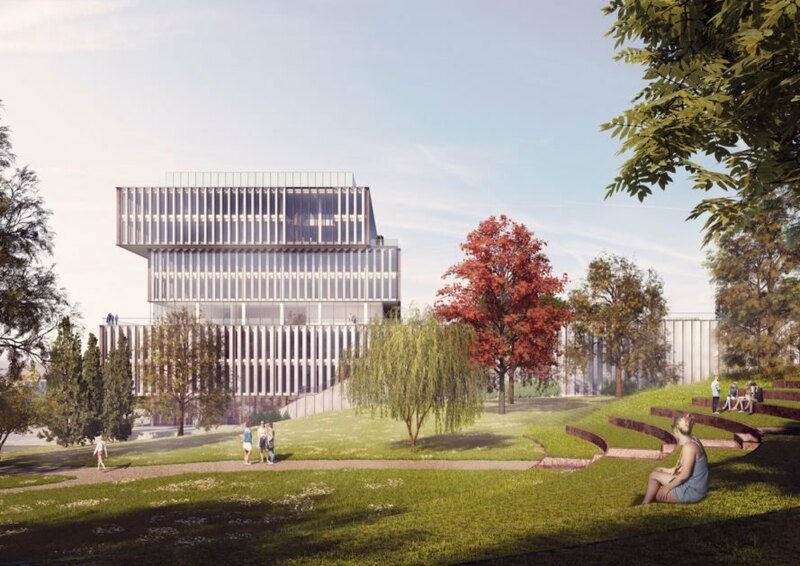 Geothermal and solar energy will power the Solvay headquarters. Geothermal and solar energy will power the Solvay headquarters. The light-filled atrium in the heart of the building. The headquarters emphasizes collaboration and gathering spaces. Full-height windows frame views of the outdoors. The open-air amphitheater will be carved from the earth. Rainwater will be harvested and reused wherever possible. The project is expected to reach BREEAM Excellence. A rendering of the building in winter. The elevations of Solvay headquarters.